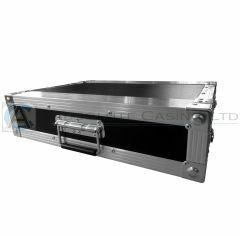 Absolute Casing is your go-to provider of the 1U rack case. Our 19 rack shelf is designed to last, ensuring that you receive the best value for money. The 1U rack is built to your exact standards and is guaranteed to exceed your expectations! 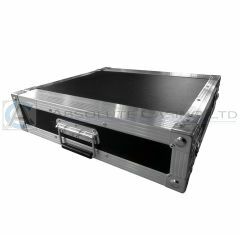 As with any of the flight cases we supply, our 1U rack case is tried and tested before it can be delivered, this is to ensure your flight case rack provides you with maximum protection. The 1U rack is suitable for a wide range of products and is a practical solution for storing them securely. When it comes to convenient storage, the 19 rack shelf is an ideal investment to make. We supply this in various depths so you needn’t worry about finding something that accommodates the shape and size of your products. Our 1U rack case is ideal for amplifiers and other sound equipment, as well as, lighting equipment and PC’s- there is something suitable for everyone! In terms of reliability, our 1U rack is one of the best in its calibre! This flight case will allow you to transport your valuable products from one location to another efficiently and securely. What’s more, our 1U rack case is a stack-able case that is especially space saving. Check out our 19 rack shelf today! Can’t see what you’re looking for? Contact us on 01635 579 518 today to discuss your individual casing needs.